CBD oil (cannabidiol) is a derivative of the cannabis plant. It’s is seen as a great way to potentially treat chronic pain or inflammation, skin conditions, epilepsy, anxiety, vomiting and nausea. As a buyer, it’s important to see that it doesn’t contain THC or low extremely low values. THC is the psychoactive ingredient in cannabis. But you’ll need to be careful that what you intend to buy is what you actually get. If you’re considering buying CBD vape oil or drops, follow our guide on what to look for in a genuine product. Is CBD oil legal in the UK? In 2016, the Medicines & Healthcare Products Regulatory Authority (MHRA) classified CBD oil as a medicinal ingredient in the UK. 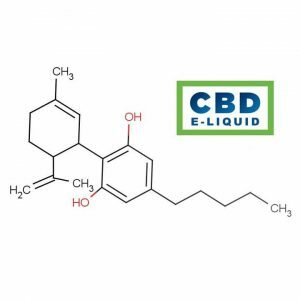 The decision made by MHRA aimed to improve the standard of CBD oil being sold in the UK. Before that, consumers were forced to purchase CBD oil online from unregulated and sellers. In the UK the whole marijuana plant remains illegal. You can be charged with its possession, as it is deemed to not have any therapeutic value. The current debate is, however, changing on cannabis in the UK as research is developing and the headlines are increasing their reports on the product. What should I look for on the label? The Cannabis Trades Association UK was founded in 2016 by main leading suppliers of CBD in the UK. While not endorsing the seller’s list, the association members are considered to be legitimate as they have met standards required by the Home Office and MHRA. The association requires that all products must meet its labelling criteria. It must clearly state the total amount of CBD in milligrams, as well as clear information on the recommended dosage. This is in addition to the statutory requirement for food labelling. If you’re looking for CBD oil online, you should look for signs that the oil is non-psychoactive as CBD oil should contain extremely low levels of THC, or not at all. Products are required to contain less than 0.2% THC. THC is against the law to buy such psychoactive substances. It’s the psychoactive component in cannabis that makes users feel ‘high’. You should show due diligence when purchasing CBD oil – or any other CBD-based product. While CBD has been shown capable of reducing pain and a range of health conditions, not all products are sold using proper licensing, as required in the UK. You should always look for a reliable online store that is a member of The Cannabis Trades Association UK, such as Vsavi. How should CBD oil be tested? One thing you need to be sure of when purchasing a CBD product is that the manufacturer is a licensed pharmacist. It’s also important to find out that the products have been correctly formulated. The hemp used to create CBD oil should always be organic and certified. Using carbon dioxide in a liquid state to draw it from the plant is the best method to extract it. Finally, after extraction, the product’s raw ingredients should be tested by a third party. This guarantees an unbiased view of the CBD oil product you are purchasing. Don’t forget, if you find a CBD oil that seems too cheap to be true – it probably is! If you need help or advice on CBD vape pens or CBD vape oil, our experts here at Vsavi are happy to help. 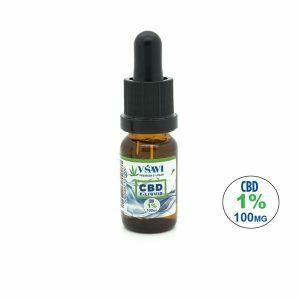 In the meantime, you can take a look at further CBD reviews. Need to contact us for whatever reason? Looking for the best e cigarette? Please use our form.